Photographer: Willy Vanderperre. Model(s): Mariacarla Boscono. 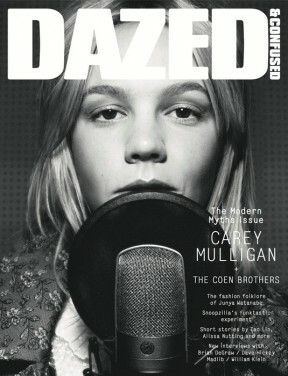 Source: Dazed & Confused. Stylist: Panos Yiapanis. Makeup: Lynsey Alexander. Hair: Syd Hayes. Mariacarla Boscono comes into her own in ‘The Outsiders’ by Willy Vanderperre for Dazed & Confused, Summer 2014. Fashion Rebels Unite in this exquisite mix of exotic tribal wear and dynamic disco. Each shot captures our attention with a stunning commitment to the power of modern style. 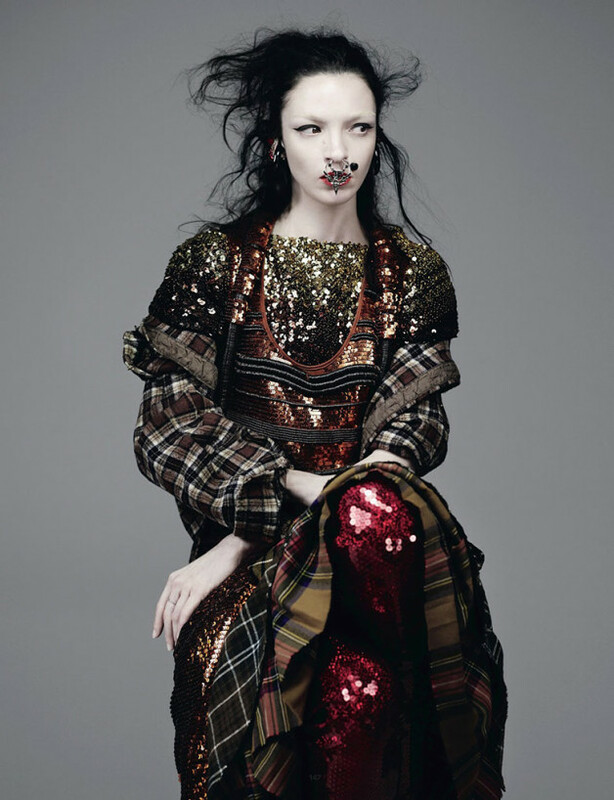 With looks by Pucci, Givenchy & Versace, (Stylist) Panos Yiapanis stuns with a collection of beaded headdresses, tartan quilts, plaid shirts & leather/sequin fabrics. Makeup Artist, Lynsey Alexander, brings beauty home with eye-popping jewelry that includes a tribal nose-ring and bold face charms. The look is complete with divine hair that dares to rage on by Syd Hayes. Darkly Romantic, Vanderperre captures our imagination with a story that has the vibrant vision to see beyond, and the powerful freedom to fly above.